Though I already have provided my opinion of the best NBA giveaways, the experts at ESPN ranked the top five NBA giveaways this season. There certainly are some creative promotions, and even with the ones I thought I had seen before, I noticed cool, new features that I wouldn't have thought of. 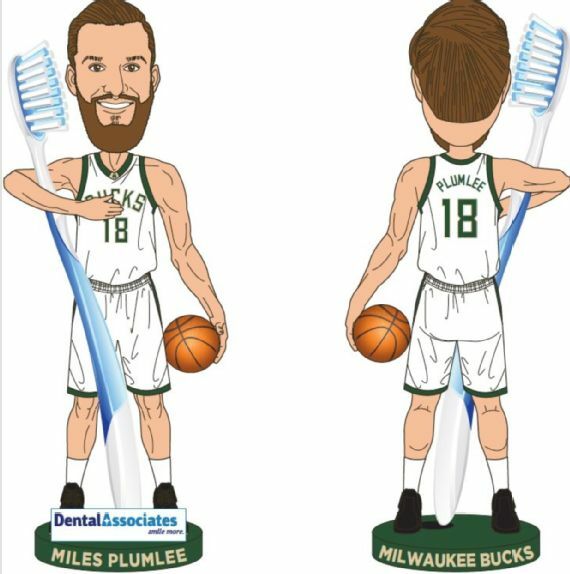 ESPN gave the top honors to the Milwaukee Bucks' Miles Plumlee Bobblehead Toothbrush Holder. A cartoon version of the former Duke player holds end-users' toothbrushes. Pair it with a branded toothbrush, and you've got a double promotion! My favorite from this list was the Chicago Bulls' Bud Light Red Glass, which ESPN ranked No. 5. At first, I thought, "OK, I've seen glasses before. What's so special about this one?"